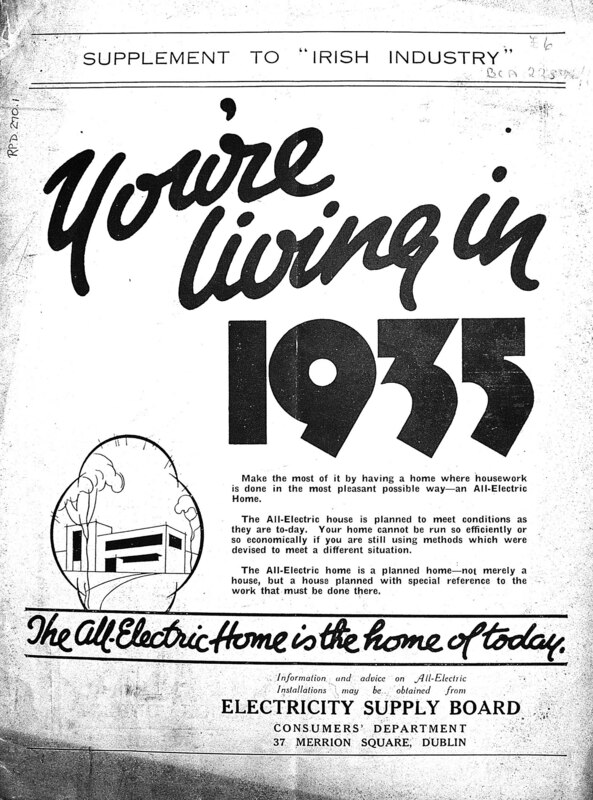 A Supplement entitled 'You're living in 1935' appeared in "Irish Industry" magazine in 1935 extoling the virtues of An All-Electric Home. The Electricity Supply Board provided the information and advise on an all-electric installation and the article featured a house in Mount Merrion which had been fully wired and fitted out as a show house for electricity and electrical devices. The Development of Mount Merrion Park article is of particular interest to residents of Mount Merrion as it describes the ideas and aspirations that Mr. John Kenny and his company Irish Homes Ltd had for developing the estate.